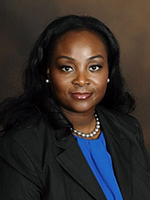 Myka Texas is a healthcare IT professional currently working in the specialized field of Electronic Health Records and Practice Management Technology. She serves as a Product Owner / Sr. Business Analyst charged with crafting software/product requirements from conception to life. She has worked on health innovative software for companies such as GE Healthcare, Microsoft, and Partners Healthcare System in Boston. She holds a bachelor in Economics and French from UMASS Amherst, studied abroad at the University of Grenoble in France, holds a Masters in Software Engineering from Brandeis University, and Healthcare MBA from George Washington University. She has most recently attended the IAE Business school in Argentina, where she learned about and evaluated the Latin American landscape for Emerging Markets. Myka is an advocate at heart and believes in the power of collaborations of all Haitians living abroad to lead her native country of Haiti into a state of restoration. She serves as Director of Program Management on the NAAHP Executive Management Team and has been working with NAAHP as conference staff since 2014. She was the Co-Chair of the Miami, DC and New York conferences, and served as leader of the NAAHP Gala Award events. Myka seeks opportunities where she can contribute towards the development of Haiti through the means of leveraging existing strengths, and the vast quantity of unexplored resources. She is a promoter/supporter of various groups and entities with focus on advocacy and economic growth through action driven initiatives with concrete ground level deliverables.